– The privately established Uganda Local Government Association (ULGA) is in talks with the Ministry of Finance to have the membership fee for districts deducted straight from the Treasury, to save the Association the trouble of running after districts for membership fees. According to the information availed from the Associations, ULGA is registered as an independent and non-profit making entity, whose membership comprised of Local Governments. ULGA’s intentions to prey on taxpayers money were communicated through a press in response to calls by Reagan Okumu, the Chairperson Public Accounts Committee-Local Government, who asked Parliament on Thursday to look into the activities of the Association for mismanagement of public funds. During the plenary sitting, Okumu told Parliament that ULGA has been using taxpayers money collected from all districts, yet Government isn’t under obligation to meet this cost. 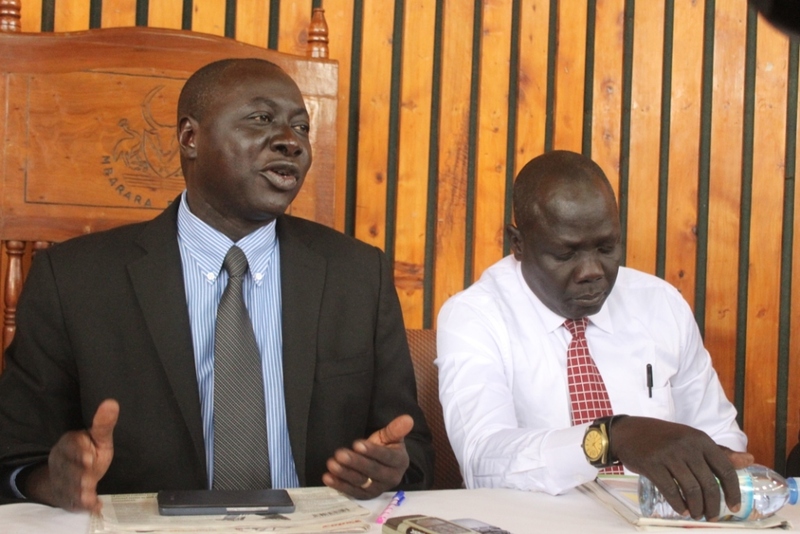 Okumu argued that although ULGA is a private Association, this hasn’t stopped the Association from collecting Shs6m from the 130 districts, an action he says was illegal and called for a forensic audit into ULGA’s scheme. He even said the Ministry of Finance had already deducted the funds right from the votes of the respective districts, but ULGA denied these allegations saying they haven’t received a penny from the consolidated fund. In a statement authored by Gertrude Gamwera, Secretary-General, ULGA, she admitted that the Association is in talks with Ministry of Finance to have the money deducted right from the treasury. She wrote: “Indeed, whereas we do continue to rightly engage Ministry of Finance on the possibility of receiving our subscriptions through direct deductions from source and in particular the discretionary funding allocation to local government for our proper planning and execution of our mandate, an action properly supported by a resolution of our Annual General Assembly and supported by our mother Ministry of local government which appreciates our role as a key partner in development of local government agenda. However, it is not known if the secretary to treasury, Keith Muhakanizi will agree to such a request as an approval to such a request is likely to open floodgates to other professional unions and other associations that bring together civil and public servants to have their membership fees charged right from the consolidated fund. The nasty bickering between MPs on the committee and ULGA became public this week after the committee handed over their investigative report into the annual audit reports to President Yoweri Museveni at State House Entebbe which highlighted the glaring corruption in local governments across the country. In retaliation, ULGA fired back at Okumu accusing him of being insensitive and continuously painting an image in the country of corrupt and incompetent local governments.